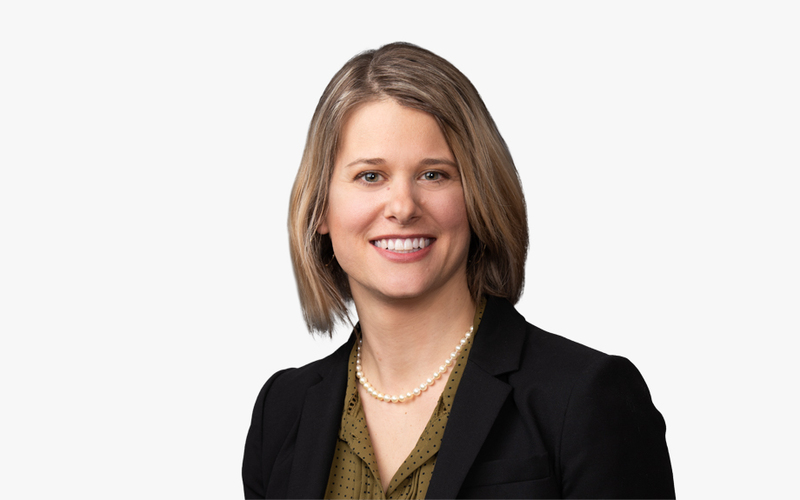 Katherine (Katie) Ruffing focuses her practice on accountant defense. She represents international and domestic accounting firms and accountants in connection with regulatory investigations brought by federal government agencies, such as the Securities and Exchange Commission (SEC) and Public Company Accounting Oversight Board (PCAOB), state licensing agencies and the American Institute of Certified Public Accountants (AICPA). Katie works extensively with accounting firms, individual accountants and experts to understand the documentation supporting an audit. Katie also has experience in securities and white-collar litigation, as well as complex antitrust matters. She has worked extensively on discovery disputes in the context of civil litigation, and with forensic experts and with experts regarding damages and market definitions. Katie maintains an active pro bono practice, having successfully won a jury trial on behalf of an elderly tenant who was facing eviction for her complaints regarding housing conditions. She has experience working with the DC Housing Authority in successfully defending an individual in federal court. In regard to immigration law, Katie successfully represented an individual seeking adjustment of status while in removal proceedings. While in law school, Katie served as the associate symposium editor for the George Mason Law Review. She also worked for the Immigrant and Refugee Appellate Center researching and drafting a Notice of Appeal to the US Court of Appeals for the Fourth Circuit.